I love salmon, and my family enjoys it, too. We tend to eat more of it in the summer when we can grill it, but when it isn't prime grilling season (my dad would argue that grilling season is a twelve month one), this recipe is our favorite for salmon. I must admit, I have been known to overcook seafood at times, but not with this recipe. It always turns out moist and delicious. Preheat oven to 375 degrees Fahrenheit. Spray square baking dish with cooking spray. Place salmon skin down in dish. Bake for 20-25 minutes or until salmon flakes easily with a fork. This one of my favorite appetizers to bring to pot-luck luncheons and parties. People always ask me for the recipe and are amazed to learn how easy it is. The Lipton Savory Herb with Garlic soup mix isn't always the easiest to find in every grocery store; I regularly find it at Wal-Mart. Coupons for the Recipe Secret products seem to come out once or twice a year; I always stock up then! This recipe is great in the oven or in a slow cooker. 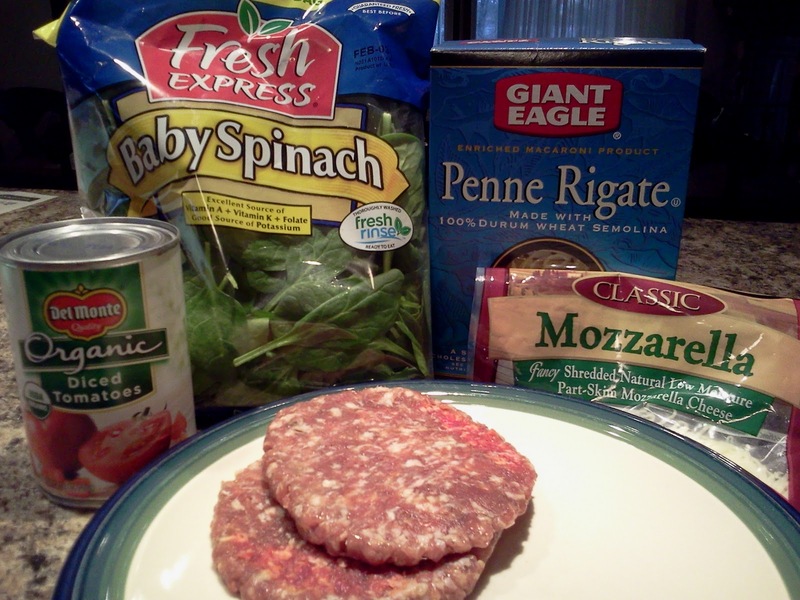 Combine all ingredients except 1/4 cup of mozzarella cheese. Cook at 350 degrees Fahrenheit for 30 minutes or heat in crock pot until warm through. Preheat oven to 400. Boil a cup of water on medium in a large skillet. Cut turkey into strips and add to boiling water. Return to boiling, cover and simmer for 8-10 minutes. Allow to cool slightly and then chop. **If you are using leftover turkey, you just need to make sure it is chopped. Unroll crust onto baking sheet lined with parchment paper or sprayed with cooking spray. Spoon half of the sauce down the center, lengthwise, leaving about 3 inches on either side. Layer spinach, turkey, and cheese over sauce. Cut 12 strips on both sides of crust. Fold strips over filling, so they overlap. Brush with milk and sprinkle with Parmesan. Bake for 12 minutes, serve with remaining sauce. Difficulty: When you see the finished product, it will look like it was hard, but it isn't at all! Years ago, when I made these mini-meatloaves for my husband and I for the first time, I vowed I would never make a traditional meatloaf again. There is just something so tasty and so easy about them. Fast forward to two kids later, and I am pretty sure I still will never go back. When you have a meal that is a guaranteed hit, why mess with it? Preheat oven to 375. Mix meat, stuffing mix, 1 cup of water, and seasoning until well blended. Press the mixture into 12 muffin cups sprayed with cooking spray; make an indentation in the center of each one with a spoon. 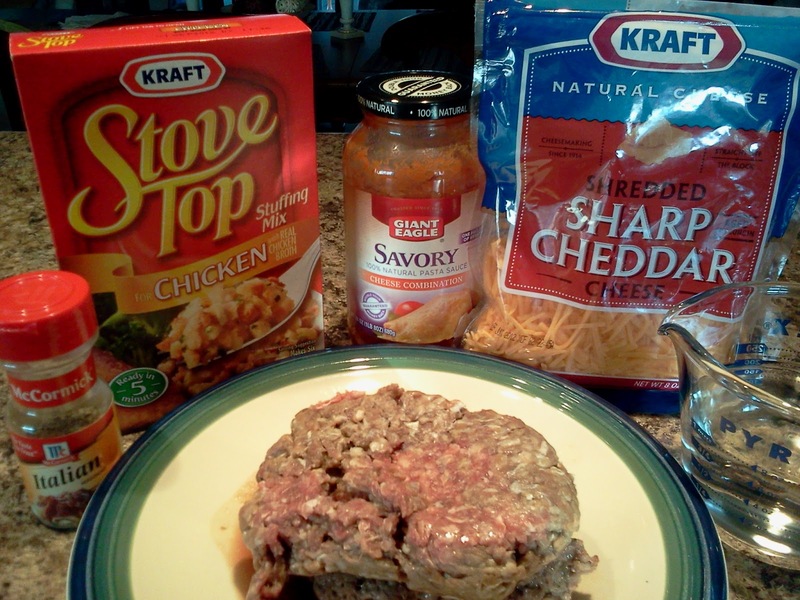 Spoon spaghetti sauce (or salsa) into the center of each meatloaf. Bake 30 minutes, until cooked through. Top with cheese and bake 5 minutes longer. This amazing fall dessert is one of the easiest things I have ever made. I had to beg for the recipe after having it at few parties. My family loves when I bring it to dinner; it is a staple at Thanksgiving dinner. Many of the ingredients will be on sale soon, plus there's usually a coupon for Carnation Evaporated Milk this time of year. Happy baking! Preheat oven to 350 degrees F. Grease 9 x 13 inch pan. Mix pumpkin, evaporated milk, eggs, sugar, salt, and cinnamon until well blended. This time, I split my recipe into 2 pans for 2 different events; worked great! Apple crisp in our house means it is fall. This favorite has been served in my family for over 60 years. My brother and I would beg our mom to make it all the time...so would everyone else. Enjoy! Note: An apple peeler/corer makes this dessert preparation much easier and faster. Peel, cut, and core apples. Place in baking dish. In separate bowl, mix together sugar, flour, eggs, salt, and baking powder. Melt 1 stick of butter pour over dry mixture. I have no idea where this recipe originated, but it is one that always makes an appearance at holiday meals in my family, particularly Thanksgiving and Easter. At some point, it became my responsibility to bring it to the family dinners, and I never mind. It is easy and makes my house smell wonderful as it is baking. AND it is absolutely delicious. Mix cornstarch and sugar in a medium bowl. Add pineapple, cut up butter, and beaten eggs to the sugar mixture. Pour mixture into the casserole dish. Sprinkle with cinnamon. Bake 45 minutes. This is a great meal to prep the night before and throw in the oven the next evening. The best thing about it is there's only one dish to clean. My kids, who can be picky, love this meal. Sprinkle 1/2 box of dry stuffing mix evenly on bottom of 13 x 9 dish; set aside. Add water to remaining mix; stir until just moist; set aside. Place chicken over dry stuffing mix in baking dish. Mix soup, sour cream, and vegetables; spoon over chicken. Every time I bring this meal to work as leftovers for my lunch, someone asks for the recipe. It looks, smells, and tastes so good AND it is so quick and easy. I love that there isn't a single ingredient that needs to be cut up and that it is such a healthy, delicious meal. My whole family devours it. In fact, I am finding that I need to double the recipe these days if I want to have any leftovers! Start by boiling the water for the pasta, and cook pasta according to package directions. While the pasta is cooking, brown the sausage and break it up so that it looks like ground meat. Once the sausage is cooked through, dump the can of tomatoes and juices in. Heat for a few minutes and then add the spinach a handful at a time, stirring and tossing until the spinach is all wilted. By the time the pasta is done, the sauce should be, too. Mix the two together, sprinkle shredded mozzarella cheese on top, and voila! An awesome meal in the time it takes to cook pasta. Want a way to use up a ton of that excess Halloween candy? This holiday cookie recipe can use snickers, milky way, or even twix bars. I just bagged up all of those candies from my kids' Halloween haul and threw them in the baking cupboard to be used in a few weeks when the cookie exchange gets started. This is a great recipe for a cookie exchange because you get 4 1/2 to 5 dozen cookies out of it. Enjoy! Cream margarine, peanut butter, sugar, and brown sugar. Combine dry ingredients. Add to mixture. Take 1 T of dough; flatten into a round shape in palm of your hand; place snickers bar in the center and fold dough around it. Roll in palms of your hand to form a smooth ball with Snicker totally covered. Remove from cookie sheet after a few minutes. Note: I make my batter and refrigerate for a bit while cleaning up the kitchen; the colder dough is easier to roll in your hands. Also, I roll enough for one cookie sheet and while that tray is baking I roll the next one so I don't lose much time. This is one of my "go-to" recipes. I almost always have these items in my fridge and pantry. It can be thrown together in 10 minutes before leaving for school drop-offs. If you sometimes have to fly by the seat of your pants, the chicken can go in the slow cooker frozen. This recipe is always a family favorite in our home. Remove from heat; add sour cream. This is great served over rice, pasta, quinoa, or as a burrito. If you are looking to up your family's fiber or protein intake, add some black beans to the slow cooker.